If you look at the title of this post, one may wonder what on earth I’m talking about. An argument can be made that every team’s week one game is a must-win, which is essentially correct. In reality, there are teams that can get away with a week one slip up and still be in good shape. Alabama is a prime example of this. So who are the teams that must win week one for the sake of their seasons? Florida Atlantic – I know what your thinking. Why and how is FAU on this list? Work with me here. Lane Kiffin’s Owls open their season up with a trip to Norman, Oklahoma to take on the mighty Oklahoma Sooners which of course is no easy task. Believe it or not, last season, FAU was actually a force to be reckoned with but was hidden in the shadow of a weak Conference USA. The Owls have earned more respect from many people and I included. Lane Kiffin is building something special at a school nobody thought he could. A week one win in Norman will shape the rest of their season. Quite honestly, FAU would have a solid shot at going undefeated and could end up in a New Years Six bowl. A loss could result in another season of dominant play hidden behind weak opponents. This is a big opportunity for Lane Kiffin and Florida Atlantic to put themselves on the college football map. 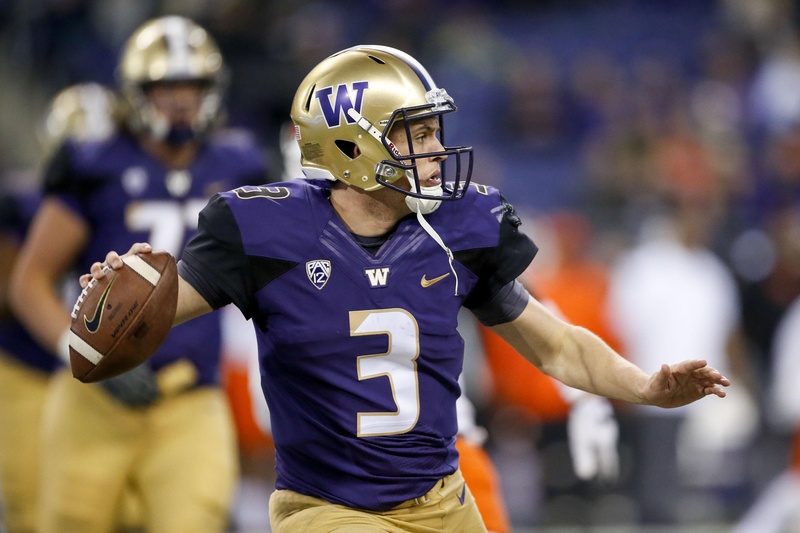 Washington – The Huskies open up in this year’s arguably biggest week one matchup against Auburn. The only reason I don’t have both Washington and Auburn on this is the difference between the strength of conference. Now don’t for one second think I’m biased towards the SEC because I’m most certainly not. The fact of the matter is, is that the Pac 12 is simply not very strong. Other than Auburn, the Huskies toughest opponents this year are Stanford, UCLA and maybe Washington State. As for Auburn, they have to go through Alabama, Georgia, and LSU. A loss doesn’t necessarily end Washington’s chances at the Playoff, but it definitely won’t look too great on the resume with a weak Pac 12 schedule. Miami – Last season, the Hurricanes took over College Football for a good chunk of the season. If they want any shot of that happening again, they’ll need to take down LSU in their opener. It won’t be easy but, LSU has a history of not being as a great as advertised and I definitely believe the Canes could pull this one off. A win against LSU would set the tone for the season and personally I could see them run the table and play Clemson in the Conference championship for a spot in the Playoff. There’s no more important game on Miami’s schedule than this one against the Tigers from down south. Overall, the 2018 season is filled with teams that could make some serious noise but, some need a bit more help than others. Previous: Previous post: From Fantasy to Reality: A Lakers Fan Reaction to LeBron James Joining L.A.